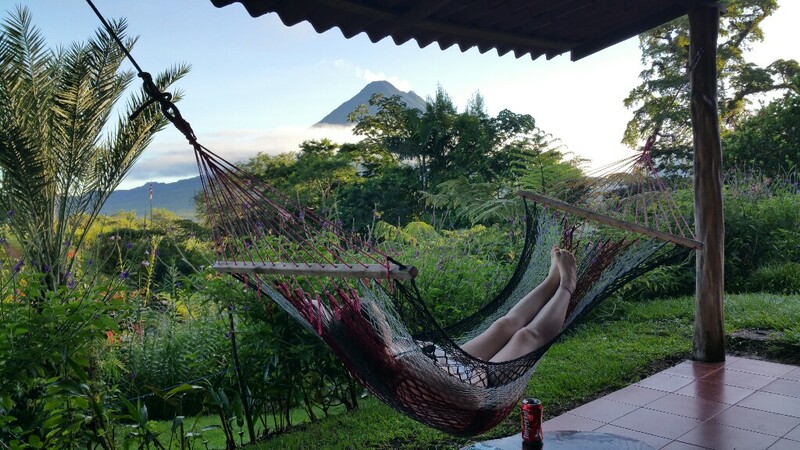 After a long drive from the Pacific coast through the mountains in the rain during rainy season, we were ready for some rest. 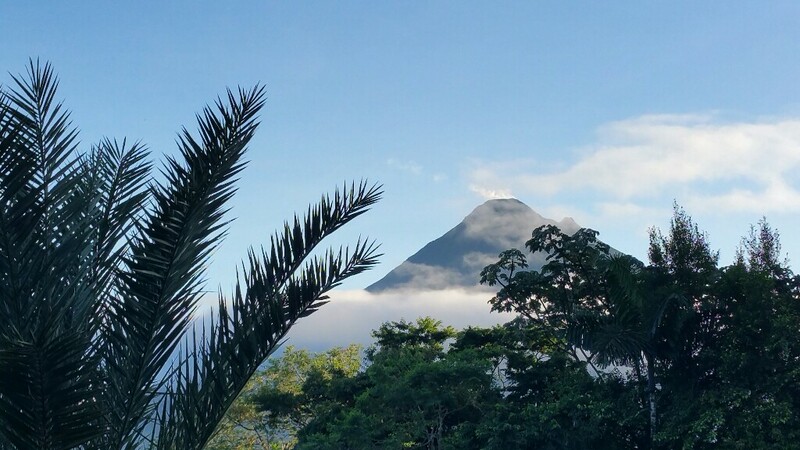 We arrived just as the sun was setting and the rain and clouds cleared for a few minutes to allow an amazing view of the volcano. We stayed in the lower level two side by side apartments as you pull in to the left. Traveling with our three teenaged daughters the accomdations were perfect. Each apartment was equipped with a kitchen. One had a microwave. Since we arrived so late and it was raining we did not want to go back out for dinner. We brought a few things to cook there and it worked great for our needs. The mattress was wonderful, the best we slept on all week with soft cotton linens. Also we had nice hot showers! Driving in I saw several of the other resorts and hotels that were advertised on the internet. And I just cannot imagine that their view could be any better than this one. 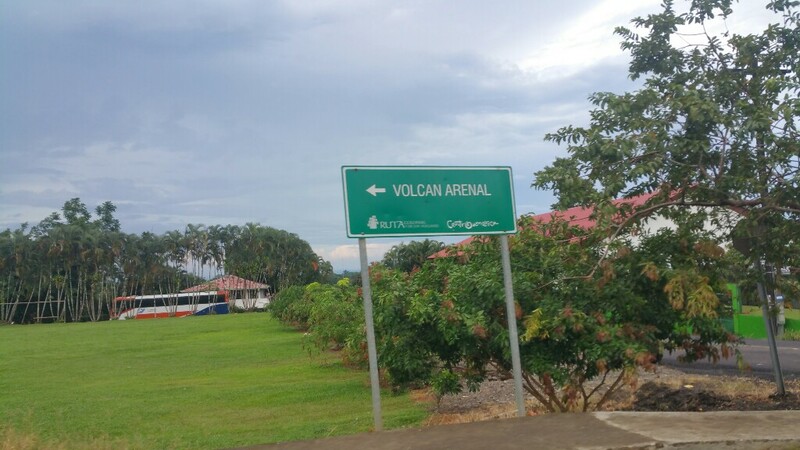 Since it is on the lake side and you get a panoramic lake and volcano view. Make sure you use the restroom in el Castillo or Fortuna before driving all the way in to the inn. Be prepared for several kilometers of a BUMPY & ROCKY road!! As well as grabbing any necessary items or food and drinks. We really wish we had grabbed dinner to take up there. It is just 50meters from the sky tram adventures so easy to follow their billboards and signs. 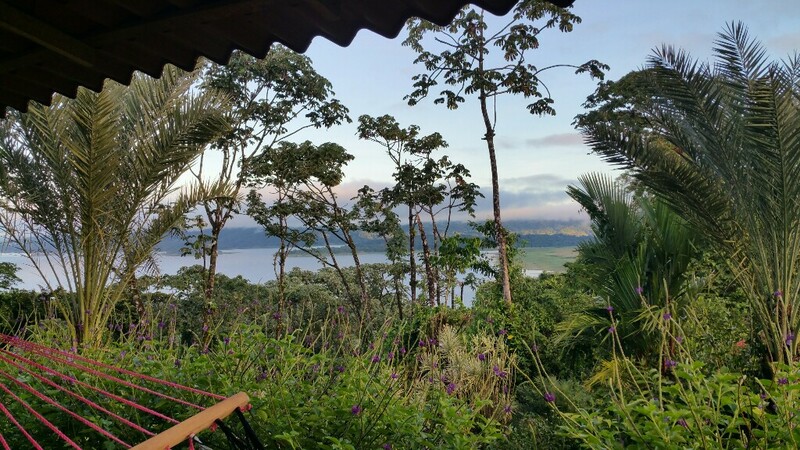 We woke up early before the sun and watched and listened in amazement as the rainforest came alive. Yellow billed toucans calling from the trees. Hummingbirds flitting about from one flower to the next. The gardens full of colorful blossoms and that was all just in the foreground. 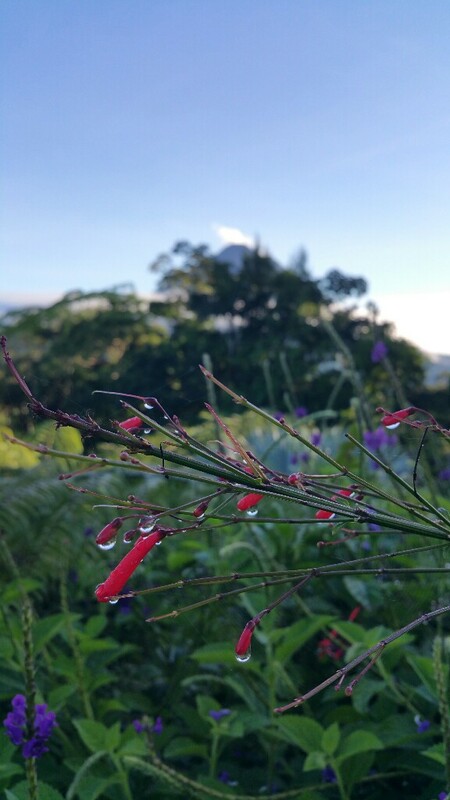 The distance was the lake with reflections of pink clouds and the volcano with steam escaping from the top as the morning clouds floated around it. Just amazing. Truly one of the most beautiful sights I have ever seen. 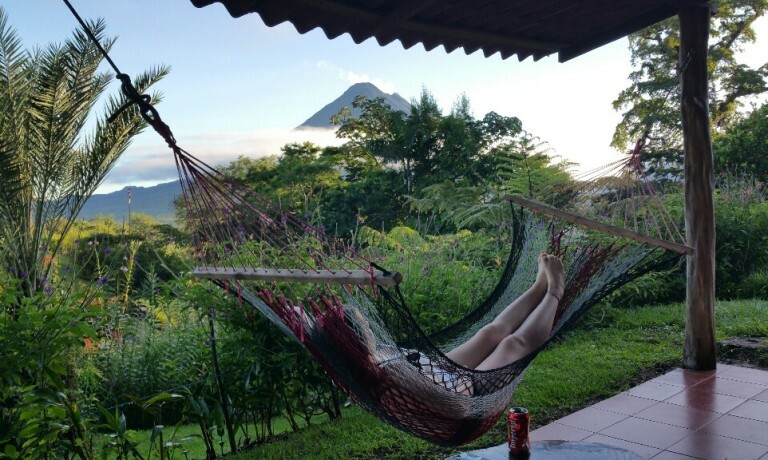 There are two hammocks on the porch to enjoy all of this beauty from. Breakfast was ready at 7am and served outside at the front building on top of the knoll where you can take in the whole view. Our host was so gracious and accommodating. 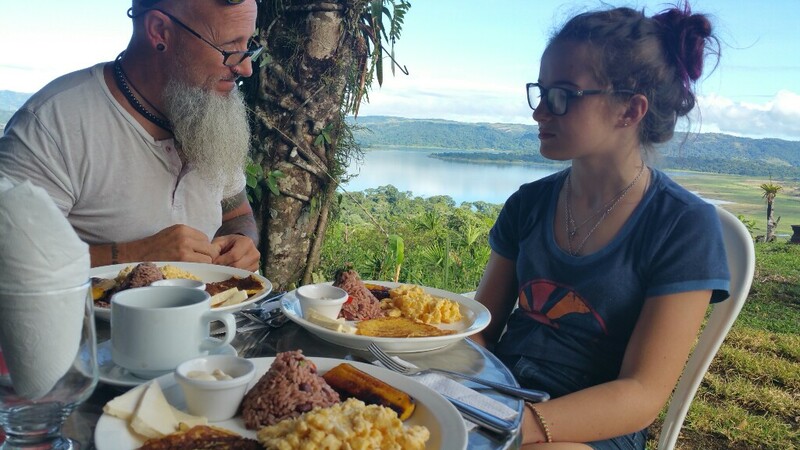 He said since we were only there one night, he wanted us to experience a true typical Costa Rican breakfast. It was so delicious. Starting with the coffee and fresh squeezed tropical fruit juice. 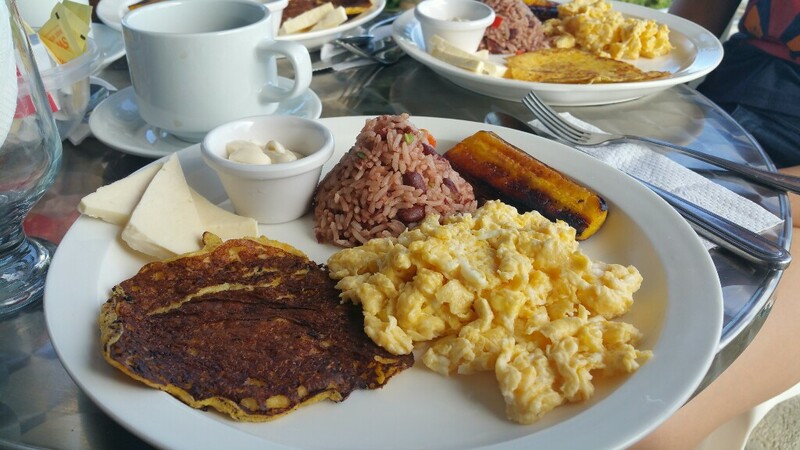 He made eggs to order, a corn cake with nitilla (similar to a sour cream), plantains and pinto gallo shaped into a volcano. It was by far the best breakfast we had all week. Going above and beyond to make it special for us. I really wished we had more than one day in the area as it was so beautiful and we wanted to take pictures of everything. 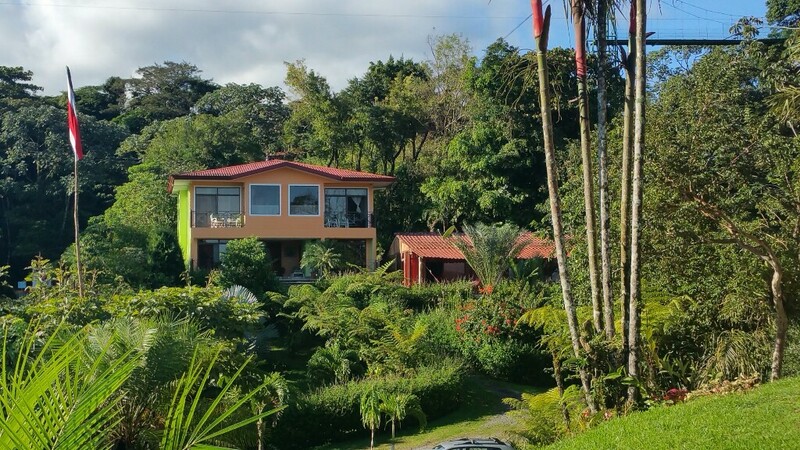 If you plan on visiting the Arenal area, skip the touristy accomdations and stay at Arenal Tropical Gardens! !